LA/NY quartet BRAEVES began with childhood best friends Ryan Colt Levy and Derek Tramont, who’ve been together before the dawn of social media. Having experimented with a wide range of styles and sounds over the years, it wasn't until the addition of Thomas Killian McPhillips VII in late 2012 that things fell into place and BRAEVES was born. From there the music grew organically into its own unique blend of soulful Indie Rock and Pop that it is today. 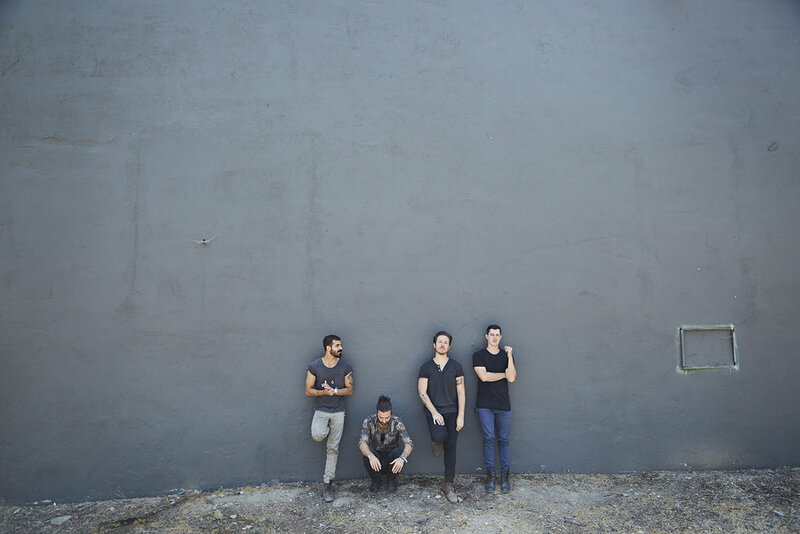 They are now joined by LA born-and-raised singer/guitarist, Scott Goldbaum, whose beautifully textured vocal sound and dynamic guitar playing has elevated them to uncharted territory that they are just beginning to explore. Looking forward to the challenge of spreading their New York charm to the west coast, their journey has brought them to Los Angeles where the band finds themselves in a place they've been working towards their whole career. With a whole slew of buzz behind them from blogs such as IndieShuffle, Baeble Music and Buzzbands.LA, spins at KROQ and showcases like School Night, BRAEVES are releasing two new singles entitled “Pull Me In” and “Lions.” A new direction helmed by collaborator and producer, Grayson Sanders (Snowmine).